Tourism – is it “killing neighbourhoods”? Commencing on 27 September 1980, WTD is celebrated each year with fitting events based on themes selected by the United Nations World Tourism Organisation (UNWTO) General Assembly. The theme for 2017 is the International Year of Sustainable Tourism for Development. The UNWTO says tourism can contribute to all three dimensions of sustainable development – economic, social and environmental – as well as the 17 UN sustainable development goals. It argues that in addition to driving growth, the tourism sector also improves the quality of people’s lives. However, a recent wave of anti-tourism protests across Europe suggests some disagree. Much of the focus of anti-tourist sentiment during the summer has been in Spain, where a record 75 million foreign tourists visited last year – up 10 million on 2015. Catalonia hosted more visitors than any other. Estimates suggest an extra 30 million people descended on Barcelona, where radical groups have been reported slashing tyres of rental bikes and a tour bus. The tour bus was also reportedly adorned with the slogan “tourism is killing neighbourhoods“. As the number of tourists has been growing exponentially, so too have the tensions over this surge, coupled with the impact of holiday lets on the local housing market and thus local communities. Majorca has also experienced protests from citizens against mass tourism. Here concerns have been raised over the number of drunken visitors and the rental of apartments to non-locals, reducing the number of places for locals to live and driving up house prices. Rising rents and the impact on the environment have been cited as of particular concern among local communities. Such concern is by no means a new phenomenon. A 2012 report on the impacts of tourism on society found that while tourism generates both wealth and jobs, it has also been seen to have negative impacts on socio-cultural values and environmental assets of host communities. At the same time as bringing people from different backgrounds, cultures and traditions together, due to globalisation, it is argued, tourism has led to many communities losing their cultural identity and giving way to a ‘Disneyfication’ of their town or village. And while tourism has contributed to the creation of national parks and protected areas, it has also been blamed for increased pollution. According to the United Nations Environment Programme (UNEP), the three main environmental issues of tourism are the depletion of natural resources, pollution and physical degradation. It is suggested that the main problem emanating from these impacts is that the host community picks up the tab for any damages to the environment and local culture. The focus of this year’s World Tourism Day therefore seems particularly apt. As the World Travel and Tourism Council (WTTC) has highlighted, this provides a unique opportunity for travel and tourism to come together to address the challenges set out in the UN’s sustainable development goals, and for the sector to address the issues of climate change, physical degradation and disruption that leaders from both inside and outside of tourism consider to be of the highest priority. the sector is on course to reach the target of 25% reduction by 2020. However, as the recent anti-tourism sentiment indicates, more needs to be done to manage growth in a sustainable manner. Sustainable planning and management is clearly important to ensure the long-term viability of the tourism industry. And as the sector represents 10.2% of global GDP and supports 1 in 10 jobs globally, it is too important not to get right. If you enjoyed reading this, you may also like to read some of our other tourism-related articles. On 22 March, I attended ‘Smarter Tourism: Shaping Glasgow’s Data Plan’, an event held as part of DataFest 2017, a week-long festival of data innovation with events hosted across Scotland. Daniel MacIntyre, from Glasgow City Marketing Bureau (the city’s official marketing organisation), opened the event by highlighting Glasgow’s ambitious target of increasing visitor numbers from two million to three million by 2023. To achieve this goal, Mr MacIntyre explained that the city would be looking to develop a city data plan, which would outline how the city should use data to solve its challenges and to provide a better experience for tourists. In many ways, Glasgow’s tourism goal set the context for the presentations that followed, providing the attendees – who included professionals from the technology and tourism sectors, as well as academia and local government – with an understanding of the city’s data needs and how it could be used. From very early on, there was a consensus in the room that tourism bodies have to identify their problems before seeking out data. A key challenge for Glasgow, Mr MacIntyre explained, was a lack of real time data. Much of the data available to the city’s marketing bureau was historic (sometimes three years old), and gathered through passenger or visitor experience surveys. It was clear that Mr MacIntrye felt that this approach was rather limiting in the 21st century, highlighting that businesses, including restaurants, attractions, and transport providers were all collecting data, and if marketing authorities could work in collaboration and share this data, it could bring a number of benefits. In essence, Mr MacIntyre saw Glasgow using data in two ways. Firstly, to provide a range of insights, which could support decision making in destination monitoring, development, and marketing. For instance, having data on refuse collection could help ensure timely collections and cleaner streets. 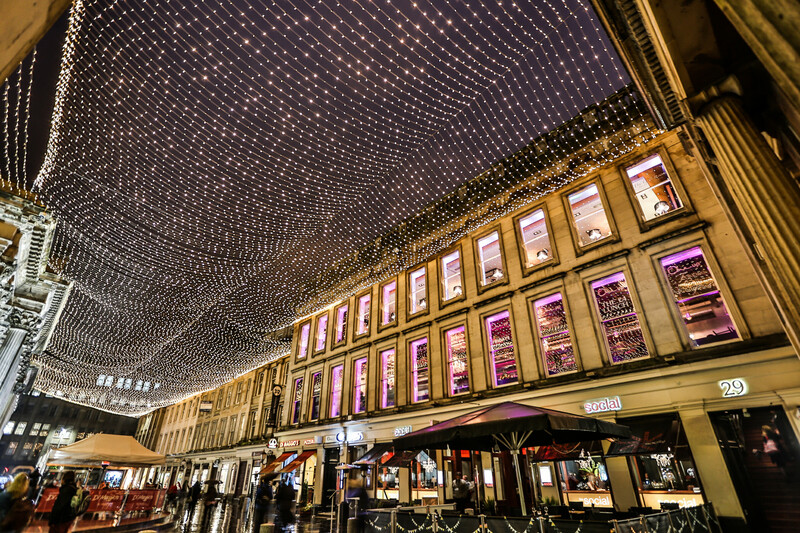 A greater understanding of restaurant, bar, and event attendances could help develop Glasgow’s £5.4 million a year night time economy by producing more informed licensing policies. And the effectiveness of the city’s marketing could be improved by capturing insights from social media data, creating more targeted campaigns. Secondly, data could be used to monitor or evaluate events. For example, the impact of sporting events such as Champions League matches – which increase visitor numbers to Glasgow and provide an economic boost to the city – could be far better understood. One potential solution to Glasgow City Marketing Bureau’s need for data may be organisations such as the Urban Big Data Centre. Keith Dingwall, Senior Business Manager for the UBDC, explained that the centre supports researchers, policymakers, businesses, third sector organisations, and citizens by providing access to a wide variety of urban data. Example datasets include: housing; health and social care data; transport data; geospatial data; and physical data. The UBCD is also involved in a number of projects, including the integrated Multimedia City Data (iMCD) project. One interesting aspect of this work involved the extraction of Glasgow-related data streams from multiple online sources, particularly Twitter. The data covers a one year period (1 Dec 2015 – 30 Nov 2015) and could provide insights into the behaviour of citizens or their reaction to particular events; all of which, could be potentially useful for tourism bodies. Predictive analytics, i.e. the combination of data and statistical techniques to make predictions about future events, was a major theme of the day. Faical Allou, Business Development Manager at Skyscanner, and Dr John Wilson, Senior Lecturer at the University of Strathclyde, presented their Predictive Analytics for Tourism project, which attempted to predict future hotel occupancy rates for Glasgow using travel data from Glasgow and Edinburgh airport. Glasgow City Marketing Bureau also collaborated on the project – which is not too surprising as there a number of useful applications for travel data, including helping businesses respond better to changing events, understanding the travel patterns of visitors to Glasgow, and recommending personalised products and services that enhance the traveller’s experience (increasing visitor spending in the city). However, Dr Wilson advised caution, explaining that although patterns could be identified from the data (including spikes in occupancy rates), there were limitations due to the low number of datasets available. In addition, one delegate, highlighted a ‘data gap’, suggesting that the data didn’t cover travellers who flew into Glasgow or Edinburgh but then made onward journeys to other cities. Technology-enabled transport company, Uber, has been very successful at using data to provide a more customer oriented service. Although much of Uber’s growth has come from its core app – which allows users to hire a taxi service – they are also introducing innovative new services and integrating their app into platforms such as Google Maps, making it easier for customers to request taxi services. And in some locations, whilst Uber users are travelling, they will receive local maps, as well as information on nearby eateries through their UberEATS app. Uber Movement, an initiative which provides access to the anonymised data of over two billion urban trips, has the potential to improve urban planning in cities. It includes data which helps tourism officials, city planners, policymakers and citizens understand the impact of rush hours, events, and road closures in their city. Chris Yiu, General Manager at Uber, highlighted that people lose weeks of their lives waiting in traffic jams. He suggested that the future of urban travel will involve a combination of good public transport services and car sharing services, such as uberPOOL (an app which allows the user to find local people who are going in their direction), providing the first and last mile of journeys. The event was a great opportunity to find out about the data challenges for tourism bodies, as well as initiatives that could potentially provide solutions. The need to clarify problems and outcomes – Many felt it was important that cities identified the challenges they were looking to address. This could be looked at in many ways, from addressing the need for more real-time data, to a more outcome-based approach, such as the need to achieve a 20% reduction in traffic congestion. Industry collaboration – Much of a city’s valuable data is held by private sector organisations. It’s therefore important that cities (and their tourism bodies) encourage collaboration for the mutual benefit of all partners involved. Achieving a proposition that provides value to industry will be key to achieving smarter tourism for cities. Reimagining travel: how can data technologies create better journeys? “A brand, an idea, an identity, synonymous with New York as a city, its infrastructure, businesses, tourist hotspots, residents and tourists alike…..” The I Love New York logo dates back to 1977 and needs no introduction. These two examples aren’t just logos – they are examples of place branding. In an increasingly competitive global market, selling a town or city as the place to be is key not only to ensuring external and internal investment but also to retaining people, skills and talent within the local economy. Place branding, may be seen as a step on from place marketing. It seeks not only to advertise and market a place to drive tourism. Instead it seeks to capture the essence of a place (whether real or aspirational). This brand is then embedded as part of a wider strategy and communicated to both residents and those outside, through business and commerce, transport, infrastructure, and events. If done effectively, the brand is a holistic channel for the desired message. Place branding often seeks to influence the external perception that people and businesses have of a place – to either change preconceived ideas or stereotypes, or to use these as a way to advance the brand and promote its values. “Place branding is the “who” of a place, while marketing is “how” you go about communicating the ideas and values which make up the brand.”- Tom Buncle Destination Scotland. However it is not just global cities that can benefit from place branding. Local authorities can use place branding as a strategic tool to advance investment and retain a talent pool within their local communities. 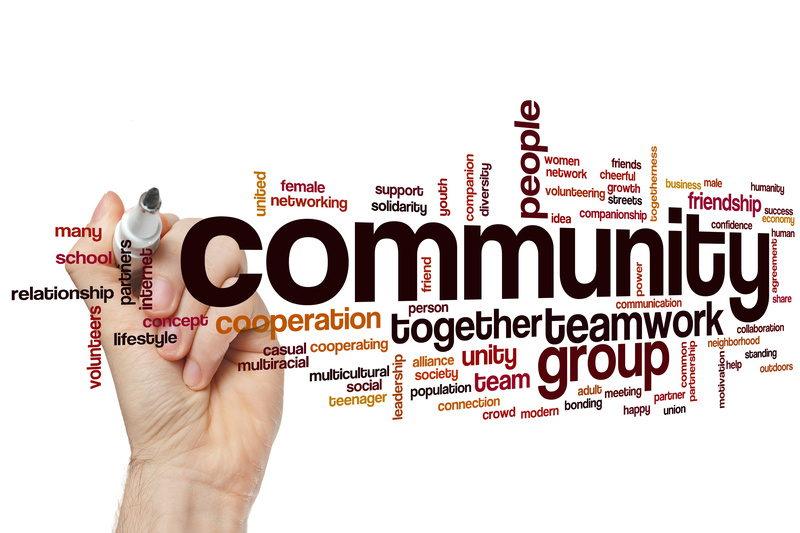 Developing a brand strategy can also be a useful way to engage members of the community, and build partnerships and social value between residents and businesses. Although often used to encourage tourism, place branding strategies can also help promote regeneration and community resilience. Such strategies can also help with asset-based strategies, as towns assess what they have and how they can maximise its potential. Place branding also gives members of the community and local stakeholders an input into the future vision for the place in which they live. This might include property development and regeneration, or events. However place branding is not always a universally popular approach. It can easily be misunderstood, especially at a time of budget and service cuts. The long term vision and investment required to successfully deliver place branding can also deter local authorities. A key factor in a successful place branding strategy, according to the place branding manifesto, is making it inclusive, ensuring that as far as possible everyone within the community feels they can relate in some way to the brand and that it is truly reflective of the best elements of a community. This helps with both the adoption and maintenance of the brand in terms of everyday use, and can also help promote the brand internationally. In 2014, The Guardian asked readers to contribute their own tag lines for city brands where they live. The results were interesting, but they also highlighted another core element to branding, rather than marketing. While a strapline and a logo are important (they are the most public face of a brand) they contribute very little if the wider brand values and promotion are lacking. Engagement, planning and long term strategy is key. 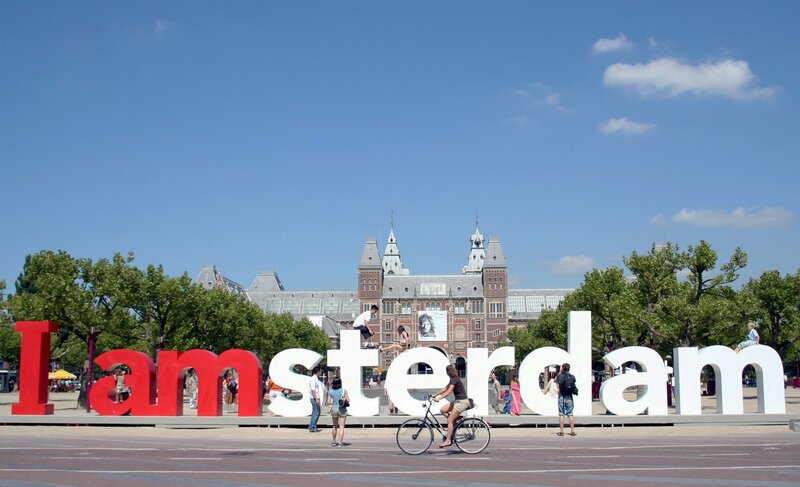 Successful place branding strategies like those seen in New York, Barcelona, Amsterdam and Glasgow are characterised by a synthesis of long term development, strategic vision, and branding strategy. They include a visual identity and a strap line which people see as inclusive and representative of the values of the place. This allows them to promote their own unique qualities to an international audience, while engaging local people, businesses and government in the value of their project and the potential benefits of a common strategy and approach. Our most recent Information Service member briefing explored the potential of place branding. To find out more on how to become a member of the Idox Information Service, please get in touch. Street art…regeneration tool or environmental nuisance?